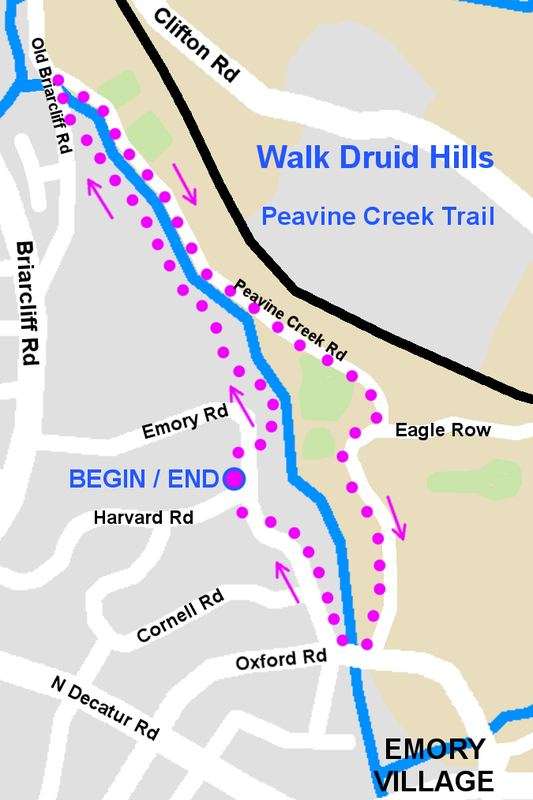 Join as we hike the new Peavine Creek Trail north of Emory Village. The group will meet at the corner of Harvard and Emory Roads on Saturday, February 11 at 9:00 AM. The walk totals about 2.5 miles and portions of the walk includes stairs and uneven ground. Park along Emory Road.